My Personal favorite Eats in the city. Growing up in LA, New York felt almost as far as Europe. Being a 5 1/2 hour flight, getting to the city took a bit of effort. In contrast, it is a 2 hour flight from Nashville and I have found myself much more willing to go on shorter, more weekend-like trips. I have always had a fondness for New York. Blame it on my high school obsession Gossip Girl (ok, not exactly confined to high school) or simply my affinity of city life, I can say with full confidence I will at least live in the city for a period of time in my life—I love it that much. With all that said, I have definitely racked up my own personal favorite spots—restaurants, stores, hotels, even neighborhoods I return to again and again. When I began to write this post, I wanted to include all of those things… But it became rapidly apparent that this blog posts needed to be solely dedicated to food! Birch Coffee. 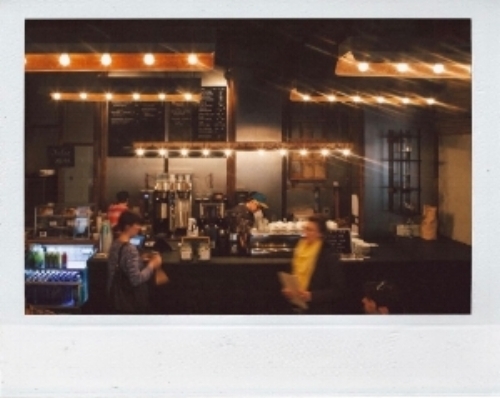 Great coffee, delicious pastries, fun environments—my ideal coffee shop. Ever since I moved to Nashville, I have begun to appreciate artisan coffee. Ever since I begun to date an Australian, I have become a coffee snob. What to expect: Birch has a few locations, some big & some small, yet they all carry the same aesthetic with the help of some Edison lights at least somewhere in the space. I’m a latte girl, but when I am not feeling like a coffee their Chai is one of my favorites—not too spicy yet not too sweet. Sant Ambroeus. A notorious NYC name, regardless it is on my list. What to expect: An unapologetic Italian environment, good coffee, luxe ambience, and the signature pink logo equally describes every location. My favorite is their avo toast. Le CouCou. A new addition to restaurants I will be going back to in the city. Le CouCou was recently shown to me by Jami-Lyn, she’s a lovely soul with impeccable taste and I’m lucky to call her a close friend—and not just because she introduced me to the best frickin’ French Omelette I’ve had outside of France itself. What to expect: Try the french omelette, potato pancakes (fancy hash brown, hon hon) great coffee and an incredible ambience. Seriously, this is one of the most beautiful restaurants I have ever walked into. A plus, it’s in Soho! Jack’s Wife Freda. Small, and a New York staple with a constant wait. What to expect: Jack’s Wife Freda is certainly another well-known New York establishment, with good reason. I’ve only been to the Soho location, and whilst it’s small, I’d say that’s apart of its charm. Try the Rosewater waffles, and the Green Shakshuka. Also the lattes come with fun little packages of sugar that you’ll just have to discover yourself! What to expect: You can expect me trying to franchise these suckers in Nashville. I’m so hooked. Their interiors remain cohesive, bright, and California-esque with fun graphics. You really can’t go wrong food-wise, but my favorite is the Taco Salad & their espresso choco chip cookie is simply insane. BONDST. It is safe to say I visit this restaurant almost every trip I take to the city. What to expect: Swanky, upstairs restaurant with great cocktails (my personal fave is the ‘Creme Rosette’) and even more amazing sushi. The Big-Eye tuna tarts, basically a sushi pizza with heavenly truffle aromatics, is a dream I never want to stop having. Also, a favorite hack of mine is ordering the ‘Spicy Crispy Shrimp’ and subbing the shrimp for cauliflower. YUM. Cafe China. Sichuan style Chinese food. What to expect: A cozy atmosphere, with the best Mapo Tofu I’ve ever had. The Sichuan peppercorn is a numbing, but strangely enjoyable spice—it hooks you, and trust me it is hard to stop even when your taste buds are begging you to do so. Be prepared to wait, but rest assured it is well worth it. Indian Accent. Upscale, delicious Indian food. What to expect: Chic interior? Check. The best Pumpkin soup to start with? Check check check. Dinner comes with a prix-fixe menu, or you can opt out and order whatever you choose by sitting at the bar or outside. My must-haves—the potato sphere chaat, pork dumplings, and any of the kulchas. Note, the menu is seasonal but keep an eye out because dishes sometimes remain! *Fun little secret: overheard the manager saying Mick Jagger’s a regular. Milk Bar. While this is certainly a New York classic, my most recent trip I literally went almost every night—so safe to say it is a go-to. What to expect: Depending on the location, either a window or a packed room with a pink neon sign and a menu drawn up on the wall with chalk. Most importantly is the amazing desserts—birthday cake truffles, cookies, cereal milk ice cream and my personal favorite—babyshakes. Babyshakes are essentially smaller, less-of-a-commitment shakes that satisfy a sweet tooth without (much) regret in the morning. Supermoon Bakery. A giant buzz has been going around this place—boasting croissants that more than not are sold out by afternoon. What to expect: Their packaging is on point, the space itself is minimal, and the croissants stand out, even amongst all the rainbow branding. The flavors change often, but if you can get your hands on the chocolate chip cookie croissant, go go go! Ladurée. If you know me, you know that I am a giant macaron lover. What to expect: A French classic, Ladurée is the only true French macaron makers in the states, if you ask me. In fact, they fly their macarons in from the motherland. My personal favorites are Rose, Strawberry Candy, and Marie Antoinette—delish. Smorgasburg. Yes, spellcheck, that is the name of the largest open-air market. Over 100 local vendors gather in Brooklyn every Sunday and it’s a guaranteed good time. What to expect: Ever seen that Ramen Burger? they have it. Teardrop cake?? She’s there. All I can truly prepare you for in this instance is innovative food and a full belly. You’re welcome. I hope that you will find some of these spots becoming your go-to as well when in NYC! As always, thank you for reading and I’d love to hear your thoughts. P.S. All my outfits from my latest NYC trip going up now on the ‘gram.